This section is for children three and under. It is geared to children developing and mastering their crawling, cruising and walking skills. 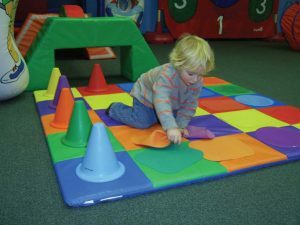 The monthly ball themes, equipment and activities expose babies and toddlers to basic ball skills and ball play. 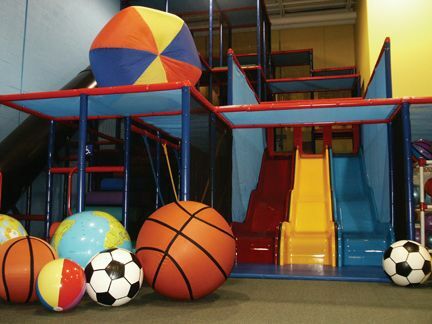 This section also has a custom-made, soft-play structure and many, many balls. Note: Older siblings can join their younger siblings to play in the Baby & Toddler Gym, but children must be closely supervised in this area. This section gives children the chance to experience, practice and sharpen their ball skills through active play. The monthly ball themes empower children, through practice, to gain confidence in many ball activities. As well, the custom-made, soft-play structure was designed for play by both children and adults. Yes adults, at Balls of Fun you can become a big kid too! The ball pit and the many, many balls provide endless opportunities to learn ball skills. Note: Babies and toddlers can enjoy this gym section too! Balls are tools that help to develop the many skills needed for play and sport. 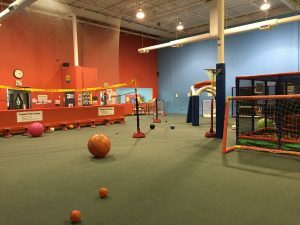 At Balls of Fun children can use the many different balls and ball-focused equipment to practice rolling, bouncing, dribbling, aiming, throwing, catching, kicking, blocking, and balancing. The more exposure and experience children have with balls, the more comfortable and competent they will be when handling balls for play and sport. Playing at Balls of Fun allows your child to learn physical skills that are necessary for growth and development. Being active on a regular basis also teaches that being active is a lifestyle. Studies show that a child who is more confident in their physical abilities brings that confidence to other subject areas in school. Our children need the recommended 60 minutes of activity a day. Many children still shy away from gym class and participating in front of their friends. 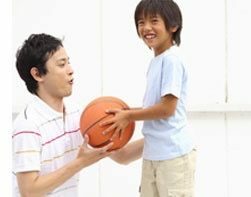 Developing necessary physical skills (and ball skills) with your child may allow your child to feel more comfortable in front of their peers in gym class, at recess, and on sport teams. Spending quality time with your child also gives you the opportunity to encourage your child through positive reinforcement when skills are developed, practiced and learned.